LONDON: A vaccine given to girls to protect them against a virus that causes cervical cancer is a ‘critical’ health tool and access to it should be scaled up as swiftly as possible, especially in poorer countries, cancer experts said on Monday. Figures from the World Health Organization’s International Agency for Research on Cancer (IARC) showed an estimated 570,000 new cases of cervical cancer were diagnosed worldwide in 2018, making it the fourth most common cancer in women globally. Each year, more than 310,000 women die from cervical cancer, and the vast majority of deaths are in poorer countries where immunisation rates against the human papillomavirus (HPV) that causes it are low. 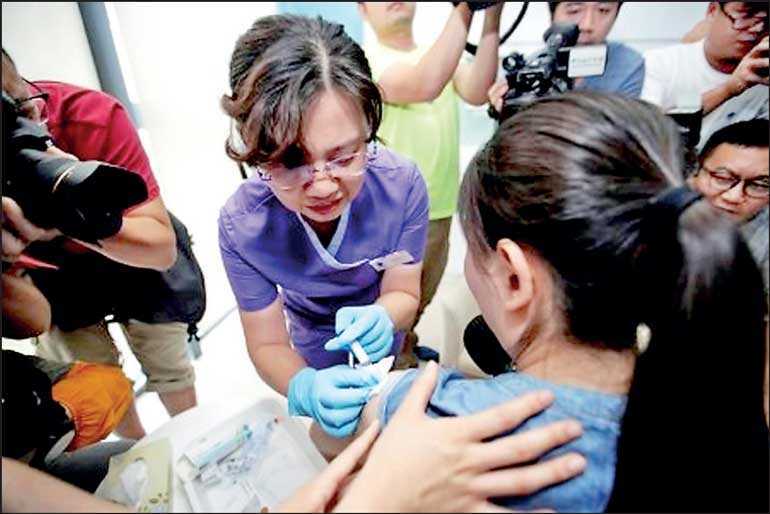 In wealthy countries, some anti-vaccine campaigners are also persuading parents to refuse the shot for their children, leaving them at risk, IARC said. “Unfounded rumours about HPV vaccines continue to unnecessarily delay or impede the scaling up of vaccination,” IARC’s director Elisabete Weiderpass said in a statement. She said IARC was committed to fighting cervical cancer and “unequivocally confirms the efficacy and safety” of HPV shots. Britain’s GSK makes an HPV vaccine called Cervarix, which targets two strains of the virus, while Merck makes a rival shot, Gardasil, which targets four strains. In a separate statement addressed to the WHO last week, the GAVI vaccines alliance also urged greater support for HPV shots, saying it aimed to immunise 40 million girls in poorer countries against HPV by 2020. This would avert an estimated 900,000 deaths, GAVI said. IARC said reducing the cost of vaccines in poorer countries would play a vital role in increasing access to them. It said it was working with the generic drugmaker Serum Institute of India to develop an HPV shot that “could provide a high-quality alternative at a lower cost”.